Open main compartment with double 24-1/2" webbed handles. High quality for great price. Very quick turn around time. Precisely what I needed. Looked like a good quality product, great value for price. High Quality and nice looking Actual Product than in the Picture. I received them much sooner than expected. We got good feedback from our subscribers. It seems we chose the right product. Awesome - the art department did a fantastic job with the logo too! 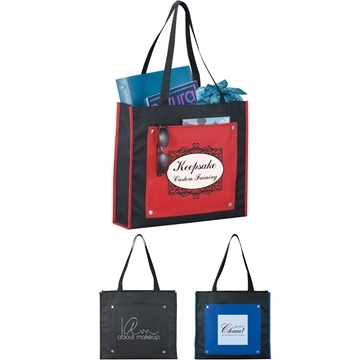 We were very pleased with the look, colors available, versatility and composite of the tote.